Coal Harbour is an upscale waterfront area of Downtown Vancouver, bordered by the inlet of the same name, Burrard Street to the east and Stanley Park to the west. The western side of Coal Harbour features parkland, private marinas, rowing/boating clubs and residential development, while the eastern section makes up downtown Vancouver’s financial district and features mainly high rise residential and office buildings. The Stanley Park Seawall, connecting Kitsilano to Stanley Park through 20 kilometers of public shoreline, runs along the northern side of Coal Harbour. Coal Harbour condos offer some of the most spectacular views of the city, water, mountains and Stanley Park, as well as unparalleled convenience of location to the waterfront, shopping, business and recreation. Coal Harbour is an affluent section of downtown Vancouver and one of the most desirable areas to purchase property – new real estate listings rarely last long. 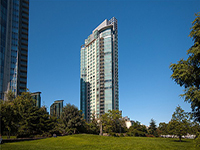 The real estate in Coal Harbour offers a variety of condos or apartments to choose from. Consult Amalia Liapis, your Coal Harbour real estate professional, for more information. Coal Harbour is right on the water's edge and is perfect for a stroll with a piping hot coffee in hand. The area begins at Canada Place and stretches east to Stanley Park making it an enjoyable and visually pleasing walk around the Seawall. Coal Harbour is a mix of commercial and residential with a beautiful marina and the odd harbour seal bobbing around and greeting passerbys. The Vancouver Convention Centre is full of public art and is full of many interpretive plaques, each telling a story of the area's history. Fly Over Canada is a virtual flight ride that allows you to enjoy a breathtaking flight across Canada's most spectacular sights. This experience involves 4 of the senses and the special effects include wind, mist, scents and motion. They often put out seasonal "flights" such as the Christmas ride and the Halloween ride. Home to the grandiose Olympic Cauldron from the 2010 Olympic & Paralympic Winter Games, Jack Poole Plaza is located right by the water at 1055 Canada Place. To kickstart the holiday season, the Christmas tree lighting ceremony happens in the Plaza and usually happens in the first week of December. The Fairmont Pacific Rim Estates - a luxury collection of sophisticated residences located within an exclusive five star hotel. Homes were designed by renowned architect James Cheng and feature leather bound entries, stacked wood flooring, Boffi Italian cabinetry, open concept gourmet kitchens with Meile/Subzero appliances, A/C, power blinds, floor to (overheight) ceiling windows and more! Five star hotel amenities include outdoor pool with private cabanas, room service, car service, gym, Willow Stream Spa, restaurant, ballrooms, meeting rooms, multi-media theaters and much more! Award winning Callisto is world class tower with a collection of one-of-a-kind townhomes and located directly on the waterfront of Coal Harbour next to its sister building, The Carina. Interiors & floorplans of homes here can vary greatly but all were designed with an open concept style and feature floor to ceiling windows offering spectacular water, mountain, marina, park and/or city views. 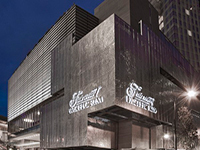 Building features 24 hours concierge, pool, gym, meeting rooms, sauna/steam, lounge and more. Callisto is a great example of west coast design and one of the best buildings in Coal Harbour. 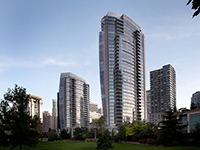 The Escala is one of the most prestigious and iconic of the waterfront luxury buildings in Coal Harbour. Built in 2002 and designed by James Cheng, homes here feature flexible & elegant layouts, plenty of natural light, impressive finishings throughout, gas fireplaces/cooktops, a/c, granite counters, patios with amazing VIEWS and more. The building offers resort like amenities including grand lobby with concierge, pool, gym, media/theater, meeting/party room and more. The Shaw Tower is a state-of-the-art building, located directly next to the Fairmont Pacific Rim and overlooking the Convention Center. The bottom third of the building is Office/Commercial space (primarily occupied by Shaw Communications) and the upper two thirds are luxury private condos. Interiors, by Robert Ledingham, offer open concept layouts, sleek design and high quality finishings. 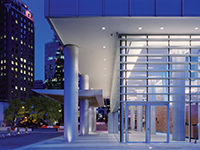 The building features a busy lobby with concierge & coffee shop, board rooms, screening rooms, health club and more.